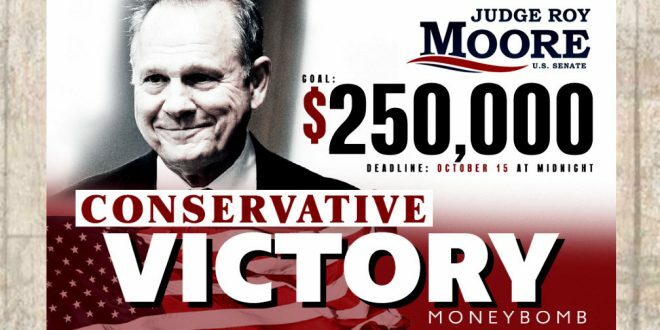 Roy Moore: Send Me Money Because Joe Biden Hates Me And Also (Probably) Something Something Hitler - Joe.My.God. They call us “rubes” because of our family values. They refer to us as “hayseeds” because of our faith. They say we’re “offensive because we love America and refuse to turn our backs on our country and our flag. At a rally in Alabama, Joe Biden officially declared war on me and my campaign — pledging to do whatever it takes to keep me out of Washington. 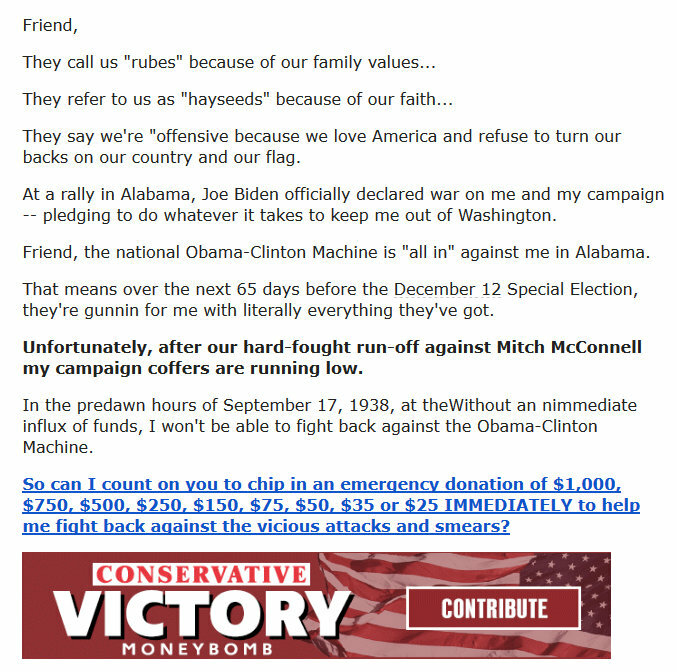 Friend, the national Obama-Clinton Machine is “all in” against me in Alabama. That means over the next 65 days before the December 12 Special Election, they’re gunnin for me with literally everything they’ve got. Unfortunately, after our hard-fought run-off against Mitch McConnell my campaign coffers are running low. In the predawn hours of September 17, 1938, at theWithout an nimmediate influx of funds, I won’t be able to fight back against the Obama-Clinton Machine. 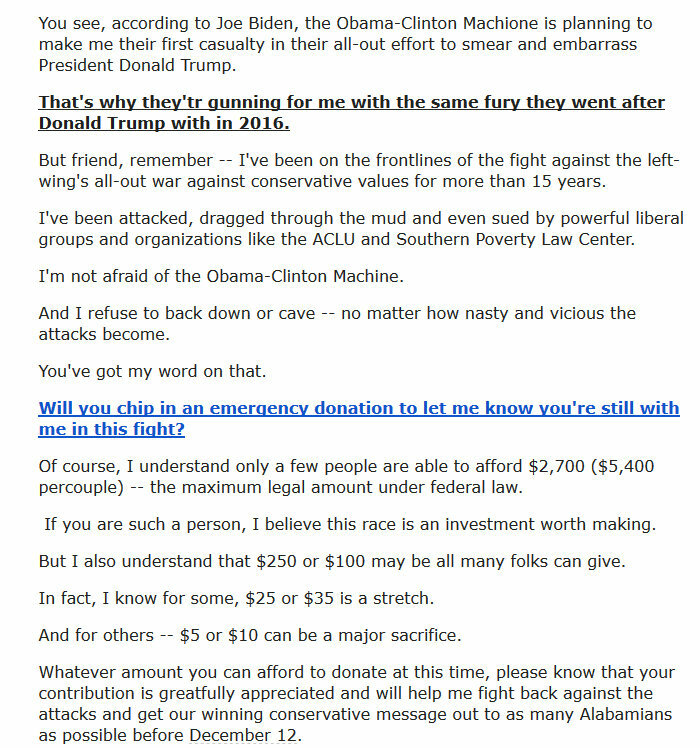 So can I count on you to chip in an emergency donation of $1,000, $750, $500, $250, $150, $75, $50, $35 or $25 IMMEDIATELY to help me fight back against the vicious attacks and smears?